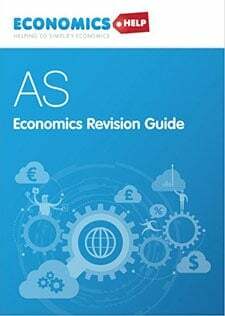 In the recent blog – Post-war economic boom and reduction in debt, we saw how the UK successfully reduced national debt as a % of GDP from 230% of GDP to 30% of GDP, over a period of 40 years. However, the story after the First World War was very different. The UK finished the First World War with similar levels of debt. However, attempts to reduce the debt burden were largely unsuccessful. 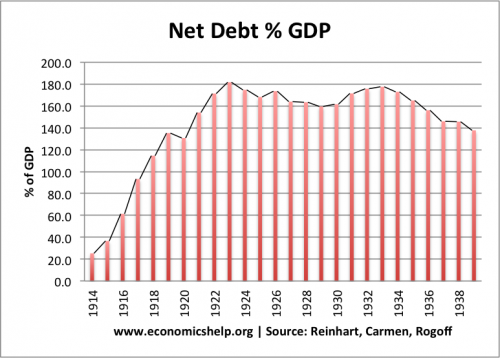 After the war, debt continued to rise to 180% of GDP in 1923. 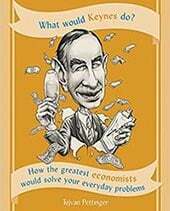 However, debt as a percentage of GDP barely fell to 160% in the late 1920s, before a slight rise at the start of the great depression. However, this continued high level of national debt occurred despite years of austerity and attempting to balance the budget. The primary budget deficit excludes interest payments on the debt. 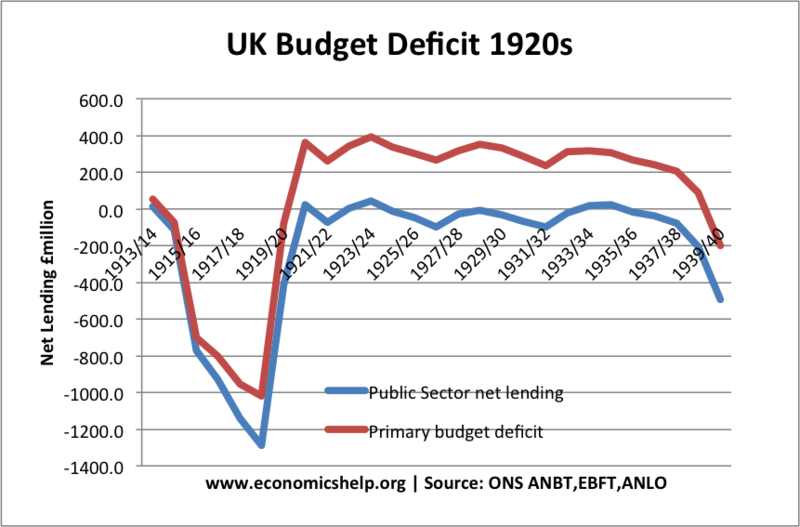 Even including interest payments (Public sector net lending) the UK ran a balanced budget until the late 1930s. Yet, this balanced budget did nothing to reduce the overall debt burden. In the early 1920s, we see a sharp change in the budget. The government pursued a tightening of fiscal policy – spending cuts and tax rises to try and balance the budget. 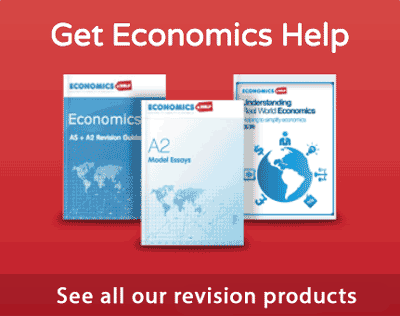 The UK economic performance of the 1920s was very poor. The post-war recession was very deep, and it took several years of slow growth to recapture the lost output. 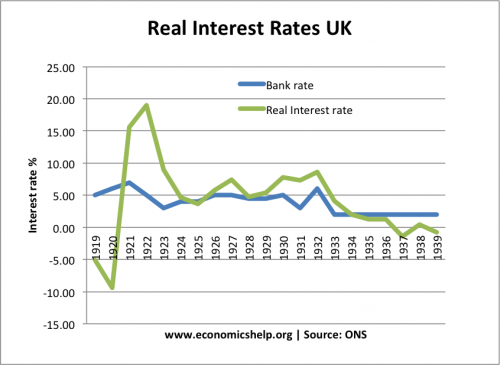 With a period of deflation in early 1920s, the real interest rate become very high – good for savers but highly damaging for those with debt. 3. 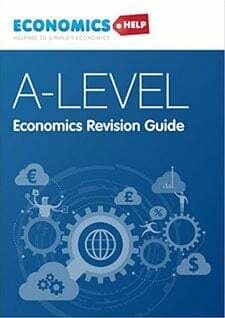 Return to gold standard and an overvalued exchange rate which led to expensive exports and a decline in competitiveness. Overvalued exchange rate, leading to a fall in exports. 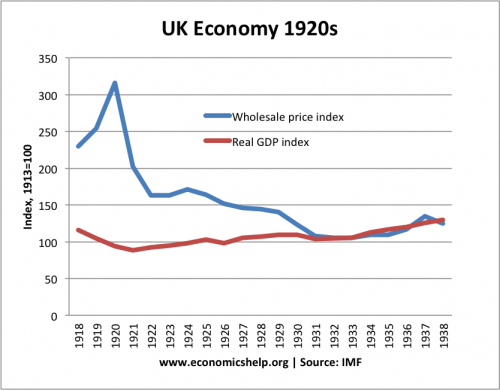 If you want to reduce the ratio of debt to GDP, the UK economy in the 1920s is a perfect model of how NOT to do it. 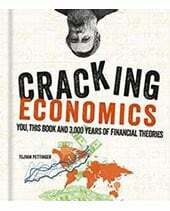 The problem is that the UK economy in the 1920s has many parallels to the current European economy.